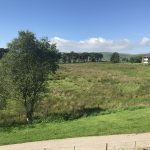 We stopped at a services for some breakfast, only this wasn’t just a normal services, it was Westmoreland Farm shop, at Tebay services – in Cumbria. 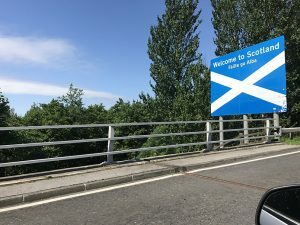 We have been here once before when we traveled to Edinburgh and thought it was a lovely place, it does not feel like a service station, surrounded by all the hills and trees. 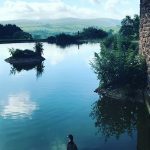 We went in for breakfast (full english) and sat with a wonderful view of the pond with the ducks, the sun was beaming in the sky and it was a lovely way to start our holiday. At the top of England we got back in the car and carried on our journey, only 20 mins down the road did we enter Scotland. 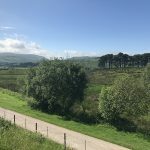 With music playing and singing in the car – which I ALWAYS do – we were really enjoying our journey, there was no traffic and the weather was glorious. We stopped at another services so that we could swap, I could be the passenger and he could do some driving. The next stop wasn’t until we got to Braehead shopping centre in Glasgow. We went in and had a walk around. We went into Primark and found some essentials (not really essential) for our America trip in January!! (A Mickey Mouse ear back-pack, some Disney tops and a Minnie Mouse key ring). 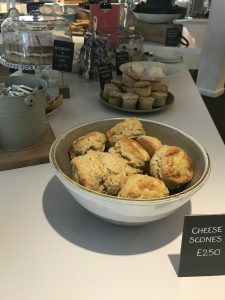 Since we had recently had breakfast we were not yet hungry for lunch and after a nosey around the shops, we got back in the car and headed for our hotel at Charing Cross. It was a Premier Inn hotel, and you can read our TripAdvisor review here. We got to the hotel for 2pm and went and checked in, we were both hoping that we weren’t on the top – 12th- floor, as neither of us now how to pack lightly. For 4 days we both had a suitcase, and extra bags. Luckily our room was on the 2nd floor and as soon as we got up there we unpacked and lay down on the bed. Why oh why does traveling sat down in a car (even as a passenger) make you so tired? After a little relaxing we thought ‘let’s go for a walk and see how close town is’… According to the maps we were on the edge of town, so walking in should be easy. It was easy and very quick, but what neither of us realised was just how BIG Glasgow really is. We hit a couple of shops and carried on walking, and carried on walking and well the shops never seemed to end! After walking what felt like miles, we looked for some food. 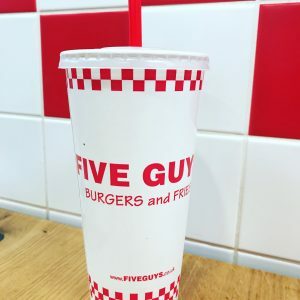 Ending up at Five Guys – we always seem to end up at Five Guys – we decided that when we were finished we would head back to the hotel and see how we feel. Anyway we finished eating, let our food digest and got up to walk back to the hotel. Using maps on our phones we had to sat-nav our way back, and it was about a 20 min walk. 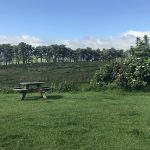 This 20min walk included a couple of hills that we were not happy with because we were so tired. We got back to the hotel and had to shower to cool off as it was such a warm sticky day. Both of us felt really tired and worn out so we decided that night 1 would be an early one and we were both in bed and asleep before 10pm!